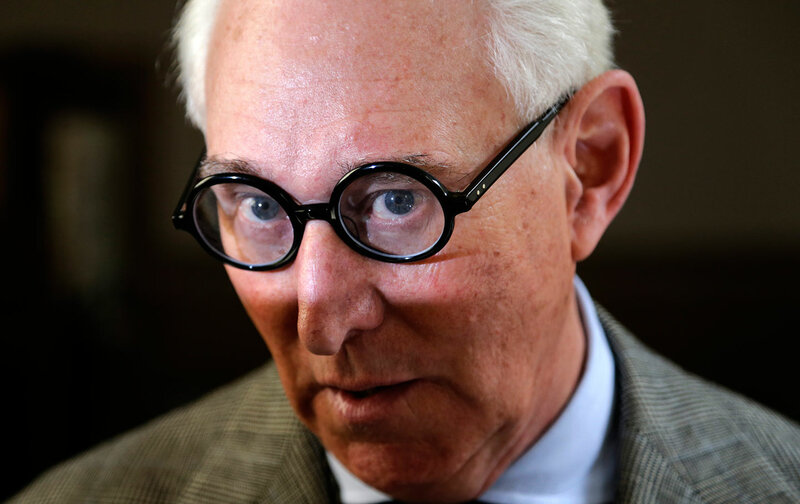 Veteran Republican operative and self-proclaimed “dirty trickster” Roger Stone has played a central role in the Russiagate saga as a suspected intermediary between the Trump campaign and WikiLeaks. Stone sparked that speculation in August 2016 by publicly claiming to have “back-channel communication” with WikiLeaks founder Julian Assange and inside information about Assange’s releases of stolen Democratic Party e-mails. Stone has since retracted his claims, and WikiLeaks has steadfastly denied that it ever associated with him. Special counsel Robert Mueller’s new indictment of Stone does not allege otherwise, and gives us more reasons to doubt the innuendo that Stone himself caused. Mueller does not accuse Stone of having any WikiLeaks ties or advanced knowledge of its publications. Instead, he charges Stone with false statements, obstruction, and witness tampering during the House Intelligence Committee’s efforts to determine what he actually knew (Stone has pleaded not guilty). Stone allegedly misled the committee about his communications with the far-right conspiracy theorist Jerome Corsi, as well as the leftist radio-host and comedian Randy Credico. He is also accused of trying to intimidate Credico into not contradicting his statements. Stone enlisted Corsi and Credico throughout the 2016 campaign to help him discover WikiLeaks’ plans, and pass messages to Assange. Both Corsi and Credico deny having any secret contacts with WikiLeaks or pre-knowledge of its publications, and Mueller does not refute these claims. Instead, we learn that Credico even implored Stone, in text messages, to “be honest w fbi … there was no back channel.” Stone responded by threatening Credico and his therapy dog. a senior Trump Campaign official was directed to contact STONE about any additional releases and what other damaging information [Wikileaks] had regarding the Clinton Campaign. STONE thereafter told the Trump Campaign about potential future releases of damaging material by [Wikileaks]. The only development that Stone appeared to accurately predict came when he infamously tweeted on August 21 that “it will soon [be] the Podesta’s time in the barrel.” Ten weeks later, on October 7, WikiLeaks began releasing Clinton campaign chair John Podesta’s stolen e-mails. There is no evidence, from Mueller or anywhere else, that Stone had advance knowledge. Far more plausible is that his tweet relied on, and referred to, news reports about a completely unrelated matter. Just two days prior, CNN had reported that the Podesta Group—the firm founded by John Podesta and his brother Tony—was under federal investigation for its lobbying work in Ukraine. And while Stone, in early October, did tell others that more Democratic e-mails were on the way, WikiLeaks had already made that widely known. Despite all of this, media outlets across the board have suggested or claimed that the Stone charges show that he passed on privileged information about Wikileaks to the Trump campaign in 2016. But all Mueller has shown is that Stone asked for secret information about WikiLeaks from two people who appear to have had none to provide; and that the Trump campaign asked him about secret information that he accordingly is unlikely to have had. Perhaps Mueller is sitting on secret evidence that could change this picture, and prove all of the speculation correct. The same qualifier applies to Mueller’s indictments of every other Trump associate in the Russia investigation to date. For all of the innuendo (and a litany of retracted or discredited stories), no American has been accused of collusion with Russia or of any other crimes during the 2016 campaign. With the exception of Paul Manafort’s bank- and tax-fraud case for offenses dating back to 2005, the charges against Trump figures result from lies and false statements in response to the investigation from 2017 onward. Those charges have uncovered venality and dishonesty in the Trump circle, but not a conspiracy with Russia. And now Stone—a conspiracy theorist whose dishonest self-promotion landed him a key role in the theory of a Trump-Russia conspiracy—continues that trend.